East Coast Physio Ltd (ECP) has three clinics in the Suffolk region, located in Ipswich, Felixstowe and Leiston, all based in GP surgeries. All clinics offer specialist physiotherapy for all types of injury. In addition, ECP offers affordable diagnostic ultrasound for examination of soft tissue and joint conditions in combination with physical examination and treatment. Ultrasound can guide specific management and/or treatment, including guided injections and Extracorporeal Shock Wave Therapy, particularly for chronic injury. 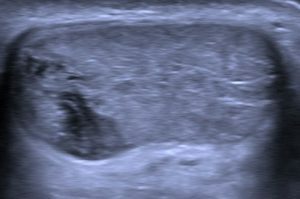 The use of diagnostic ultrasound needs to be clinically indicated and not every injured client needs a scan. Most injuries will fully resolve within 3 months with no intervention at all. However, there are numerous indicators for an ultrasound to offer the client guidance in their management and treatment and in most cases offer reassurances to the state of their injury. A good example of the use of ultrasound in physiotherapy management and treatment includes Achilles tendon and heel pain. Although, pain in this region is often diagnosed as Achilles tendinopathy, there are several differential diagnoses, which ultimately may result in the client being treated incorrectly, over treated or not treated at all. The following pictures allow the reader an insight into the justification for early use on the Achilles tendon as an example in some of the differential diagnoses (Figures 1 – 8). If you would like further information on examination, treatment or management of an injury, please contact ECP. Neil Liffen, ECP Director, is an Extended Scope Practitioner in Physiotherapy and a Musculoskeletal Diagnostic Sonographer. He combines working at ECP, with performing diagnostic ultrasound for several radiology departments based in NHS hospitals. Therefore, he has vast experience in performing examination and treatment of musculoskeletal conditions. Figure 1. Mid portion Achilles tendinopathy. Thickening of the Achilles tendon with inflammation. Figure 2. Insertional Achilles tendinopathy. Thickening of the Achilles tendon with associated inflammation and bony heel spurs. Figure 3. Calcification (bony lump) in the Achilles tendon. Figure 4. Retrocalcaneal bursitis. A collection of fluid located deep to the Achilles tendon. Figure 5. Subcutaneous calcaneal bursitis. A thickened bursa and associated bony spur. Figure 6. An undiagnosed ruptured Achilles tendon. Achilles tendon which has completely torn. Figure 7. Partial tear of the Achilles tendon. Figure 8. Normal Achilles tendon.